The worst part about a great plot twist is that spoilers for it are bound to precede the story it appears in for anyone that was late to the party. Even if you’ve never seen a second of the films Psycho, Planet of the Apes, or The Sixth Sense, you probably already know all of their most famous surprises due to how ingrained they’ve become in the popular culture. With video games often growing into franchises, spoilers are even harder to avoid as major twists of previous games can be played up in promotions for the newest one. The following spoilers are almost unavoidable now due to how much they’ve been brought up since in their respective franchises. If you follow games media even lightly, you already know all of these inside and out. However, for the sake of those that have managed to avoid learning these twists early, I’ll just be listing the titles of the specific games being spoiled so you can skip any entries that you’re worried about. Don’t say I didn’t warn you. This one doesn’t exactly fit the theme of the article given that the Final Fantasy franchise tends to reboot its lore with each numbered entry, but its hard not to call it one of the most famous and unavoidable plot twists in gaming history. Part way through the game, one of your party members, the kind-hearted Aerith, is fatally wounded by the villainous Sephiroth. Despite countless rumors of a way to revive her, her death is irreversible without hacking the game. While Final Fantasy VII has had plenty of spin-offs, the only one I can think of that made a point of Aerith’s death is the Advent Children film. However, it still belongs on the list just for being the one thing that is always the first to come up in any discussion of the game. It’s gotten to the point where most people don’t even recognize it as a spoiler and just assume it to be common knowledge. 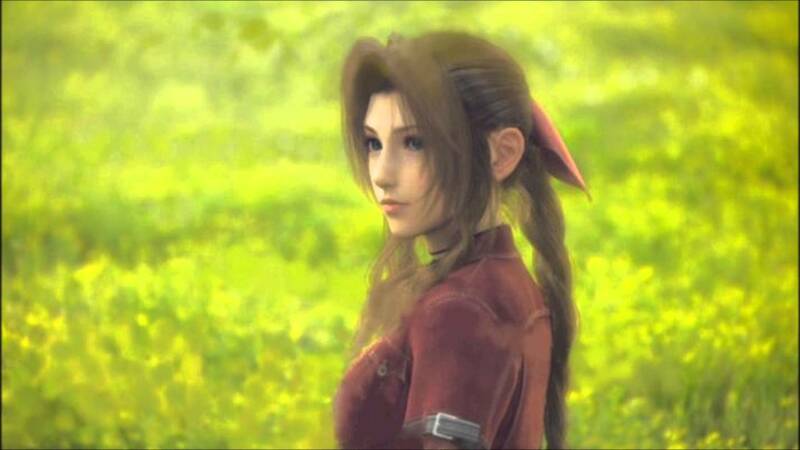 How many news outlets do you think mused about the possibility of resurrecting Aerith while reporting on the recently announced remake? Even the quirky competitive FPS Screencheat uses her name as one of its many analogies for killing an opponent. That’s the thing with big surprises; everyone starts to either analyze or satirize it endlessly. 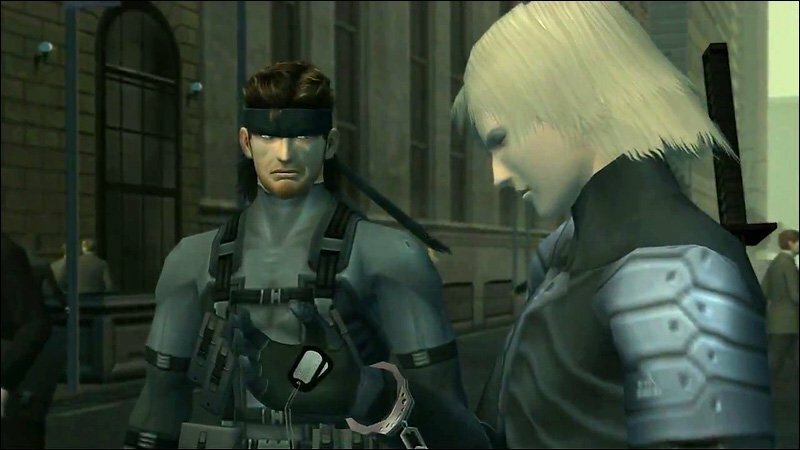 The first thing that comes up with any conversation on Metal Gear Solid 2 is its infamous bait-and-switch that had regular protagonist Solid Snake built up as the lead in all demonstrations and marketing for the game, only to replace him with an entirely new character named Raiden. Where the big twist of Final Fantasy VII is one of the most discussed topics of the game, the bait-and-switch of Raiden is the only thing that ever receives any attention when discussing MGS2 or even just the character of Raiden. When Metal Gear Rising, a spin-0ff centered entirely around Raiden, was released years later, many were still so jaded by his appearance in MGS2 that they refused to give the spin-off a chance. It’s actually pretty ironic given that Raiden was actually built from the ground up as a parody of the very fanboys that hate him, spending most of the game whining right alongside the bitter players for the ‘real’ Snake to get involved in the mission. Typical Kojima. Prince Arthas Menethil, the main hero of Warcraft III, is pretty much your typical Prince Charming when the game starts out. That’s what makes it such a shock when he turns to the dark side and ultimately changes from being one of Azeroth’s most celebrated champions to one of its most repulsive monsters. His descent begins when an undead curse begins to spread across the land, turning people into mindless ghouls. Desperate to contain the curse, Arthas resorts to slaughtering an entire village that has been infected but has yet to fully turn. It’s a brutal choice that immediately turns both his mentor and his beloved against him. Eventually, his struggle against the forces of darkness leads him to not only embrace the undead curse himself, but to even become its leader as the infamous Lich King. From there, Arthas quickly became Warcraft‘s most iconic villain with an entire expansion in World of Warcraft centering around his final downfall and being made a playable character in Heroes of the Storm. If you haven’t been following Warcraft lore from the start, it’s likely too late to check out Warcraft III without already knowing who goes full Darth Vader in it. Here’s a tip: If you don’t want games spoiled for you, don’t even look at the Super Smash Bros games as you can find massive spoilers for other games just by looking at the character roster. For example, there’s the identity of the masked swordsman going by the name Marth from Fire Emblem: Awakening. This was built up as the big mystery for Awakening right from the game’s reveal and remained the focal point of its marketing all the way up to its release. How could the legendary hero king from the very first Fire Emblem game, whose reign was generations ago, be appearing in this era? Well, you could play the game yourself to discover the truth, or you could just take a glance at Super Smash Bros for Wii U and 3DS. As it turns out, it’s not King Marth traveling from the past, but Prince Chrom’s daughter Lucina traveling from the future. 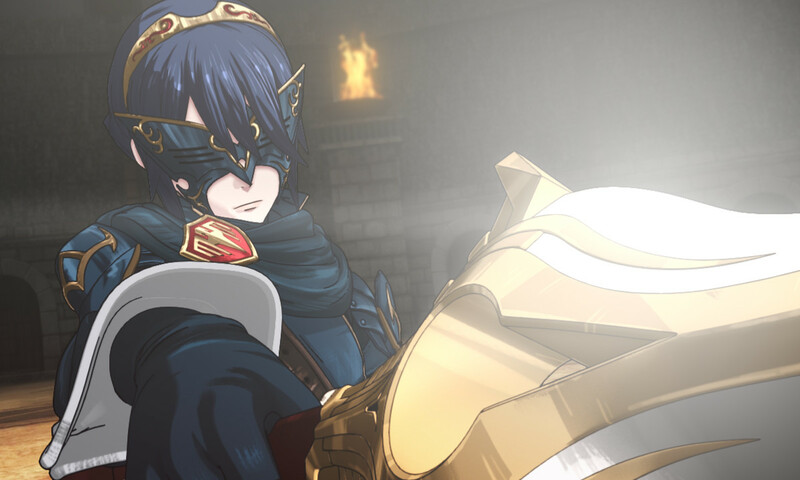 While having Lucina appearing on the roster may not immediately give away that she’s the Marth impersonator, her using the mask from the disguise as one of her taunts and Kirby wearing the same mask after stealing her ability certainly make it obvious. At least they didn’t give away the time-travel part from tha… She mentions it in one of her victory quotes, doesn’t she? Here’s one that’s become so ubiquitous that you’ve probably forgotten that it even is a plot twist: GLaDOS, the mastermind behind the first Portal game, is actually a psychotic computer out to kill you. Today, that just seems as obvious as the fact that you use portals, but this was actually a massive surprise when the game first came out. 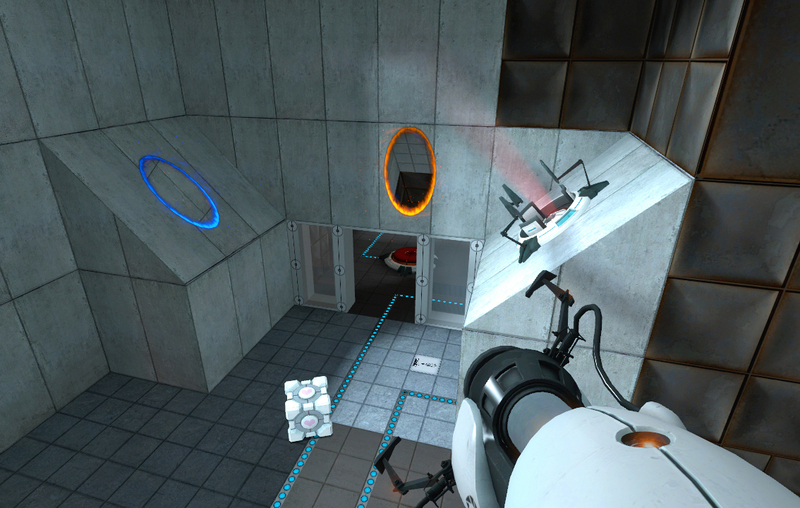 Remember that Portal was first released as a part of the Orange Box alongside the highly anticipated Half-Life 2: Episode 2 and Team Fortress 2 with little build-up for the tacked-on puzzle game. People started it up thinking it was just some simple bonus that was thrown in with the big releases because it wouldn’t sell on its own. Then it starts throwing around a dark sense of humor slowly enough for it to be cynically charming. As you dig deeper, it becomes more and more apparent that this facility is not what it seems and that everything has been designed to tear you apart physically and mentally. Finally, you meet with the mechanical mastermind to shut down her devious plans… And then GLaDOS became the most iconic character in the Portal franchise, being heavily promoted for the sequel, making cameos in Poker Night at the Inventory 2 and the film Pacific Rim, and generally made it impossible for anyone to enjoy the same mental trip that Portal once offered again. Smash strikes again, but at least it’s not the only guilty party for this one. The fact that the mysterious ninja warrior named Sheik is actually the missing Princess Zelda in disguise has been made abundantly clear in anything and everything to feature Sheik since. 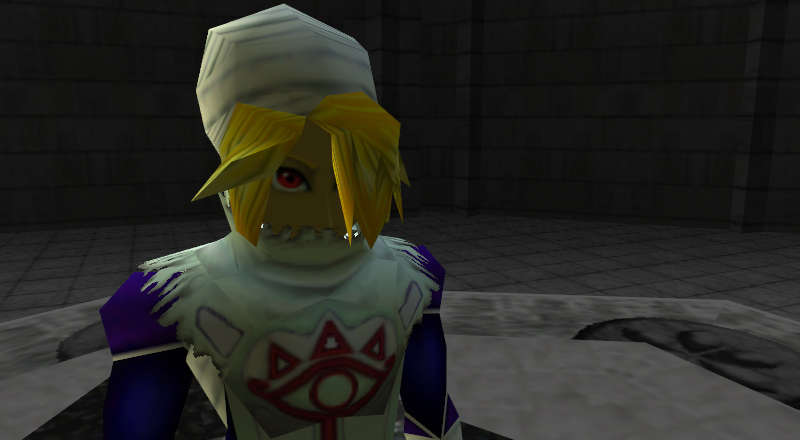 First, Super Smash Bros Melee introduced both Zelda and Sheik as playable fighters with the unique ability to transform from one to the other during matches. This was carried over into Brawl before being cut with the 3DS and Wii U entries making the two completely separate characters, but the damage had already been done by that point. Even then, Hyrule Warriors came by to make sure nobody forgot the princess’s double-life by making it a plot point in its own campaign. At this point, expecting anyone to be surprised at Sheik’s true identity is a joke in and of itself. Capcom really couldn’t try harder to make the single biggest plot twist from the original Resident Evil known to everyone, regardless of whether or not they’ve ever even touched it game or any games in the series. 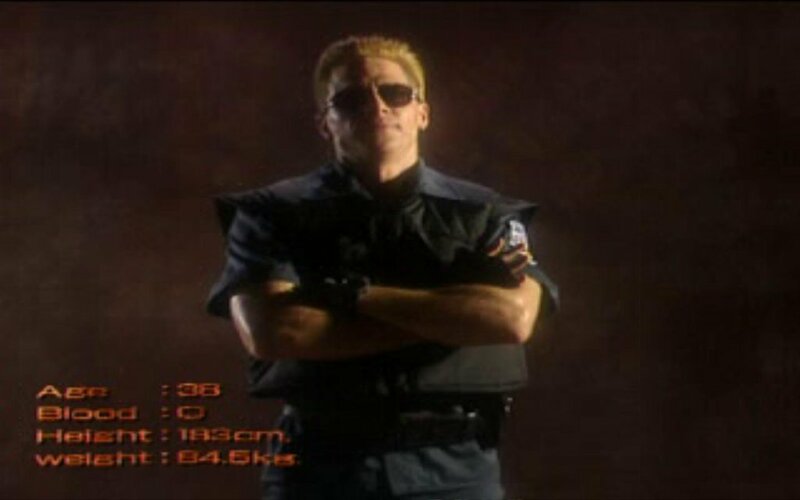 One of the members of your team sent into the Spencer Mansion, Albert Wesker, is secretly a double-agent working to sabotage your operations from the inside. It’s shocking to discover that, after all of the horrors you’ve struggled to survive against, one of your own is actually complicit in it all and working to cover it up. Or, at least, it would be shocking if Wesker hadn’t been made into the main villain of the series and highly advertised his turn to the dark side in future titles. Not only did he reappear as the antagonist in several RE games, such as a major selling point for Resident Evil 5 being the chance to finally take revenge on him, he’s also appeared in two of the live-action films and as a playable character in Marvel Vs. Capcom 3 and Lost Planet 2. Each time he’s appeared, it’s been readily apparent that he’s the baddest bad guy that the entire RE series has to offer. Honestly, it feels like he should have just been a low-level goon that died within the first game and have a new character take up the role of the mastermind if only to keep the surprise fresh for a lot more people late to the party. If you haven’t already picked up Resident Evil with any of the half-dozen rereleases that the game has had over the years, you’re going to have to go in already knowing who the surprise villain is right from the start. What spoilers are you sick of seeing everywhere? Do you have any that should have been included on the list? Leave a comment below and let us know what you think.